This is a simple "Preferred Vendors/Supplier Tracking Sheet" template for Event and Wedding Planners. 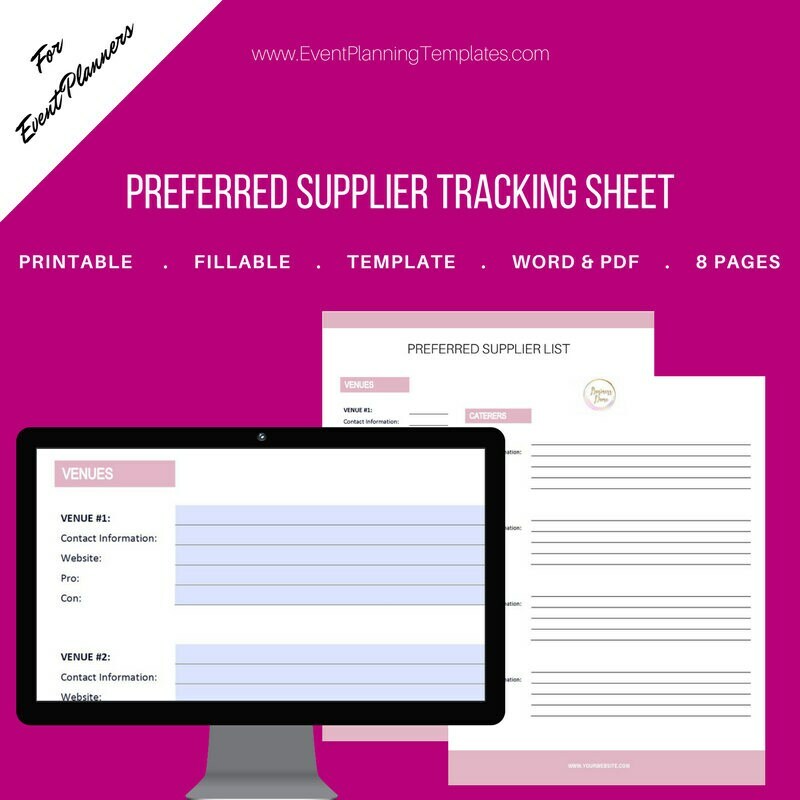 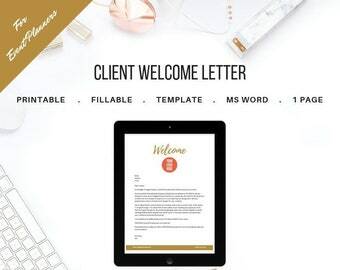 This MS Word template is easy to use and is perfect for keeping track of all your suppliers for your own record as well as sharing with your clients and staff members. 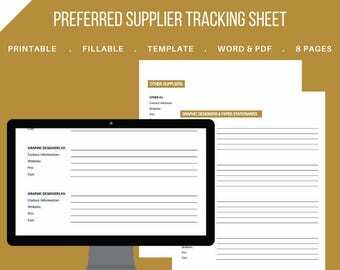 All fonts used are already included in your base MAC or WINDOWS operating system. 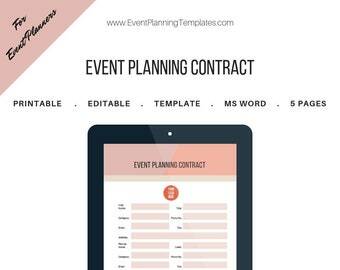 Use this to enhance your image, business process and professionalism to your clients!